Yes! 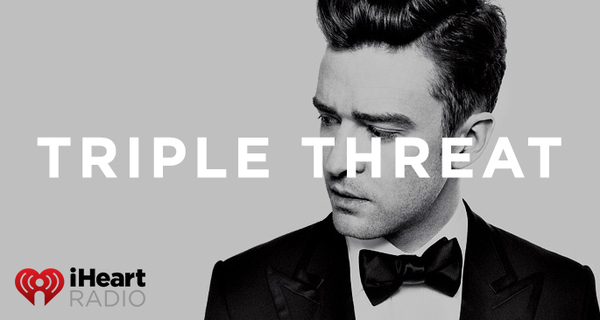 JT has been nominated for the new iHeartRadio Music Awards category: Biggest Triple Threat. This new category calls attention to the superstars who can do it all - they sing, they act, they dance, and they are activists for causes they truly believe in, among other talents. You can vote for JT every day up until the date of the show, Sunday, April 3rd. Then be sure to tune-in live to TBS, TNT, or truTV at 8 p.m. ET/5 p.m. PT to see if he won! Sharing to social media? Add the hashtags #iHeartAwards #TripleThreat and #JustinTimberlake to your Facebook, Twitter and Instagram posts to cast your vote. Be sure to include all three!